Putting the customer at the heart of your business. Feedback from customers is essential to the growth of any business. 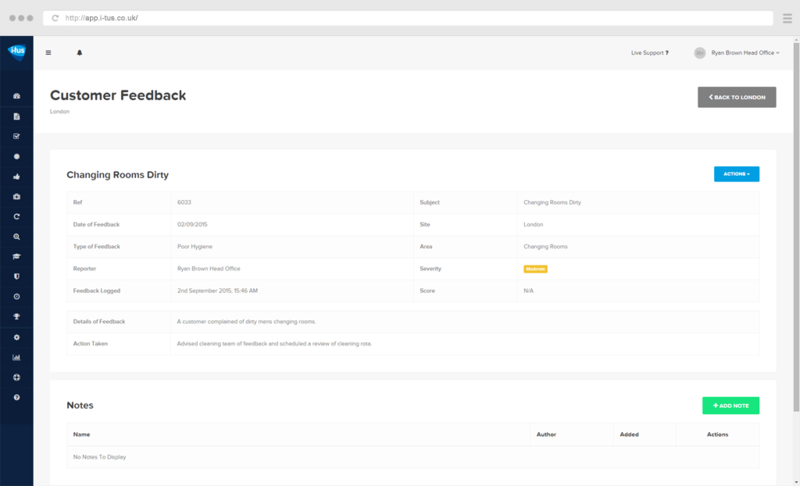 Our Customer Feedback program helps you react quickly and flexibly to consumer demands, providing you with the perfect online platform to view comprehensive reports from all sites, logging details such as the severity of the issue, evidence attached and any action taken. You can now also add this function to your own website, so your customers can log feedback directly into the i-tus program.